We all know my family’s love for pizza runs deep. And while we could eat pizza everyday, I haven’t quite figured out how to justify “eating pizza everyday” as part of a healthy diet. 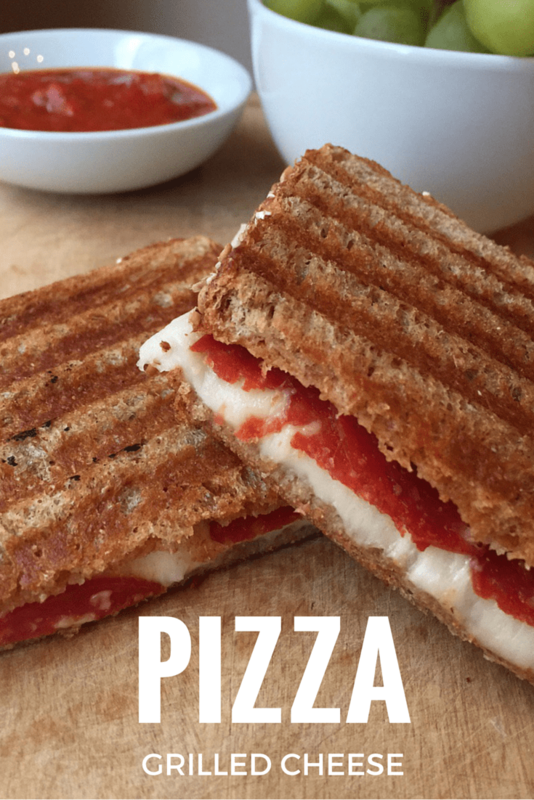 So to give us our pizza fix more than just Friday night’s, I’ve combined our go-to weekday lunch [grilled cheese] with our favorite pizza toppings to bring you PIZZA grilled cheese! See how my mind works?! 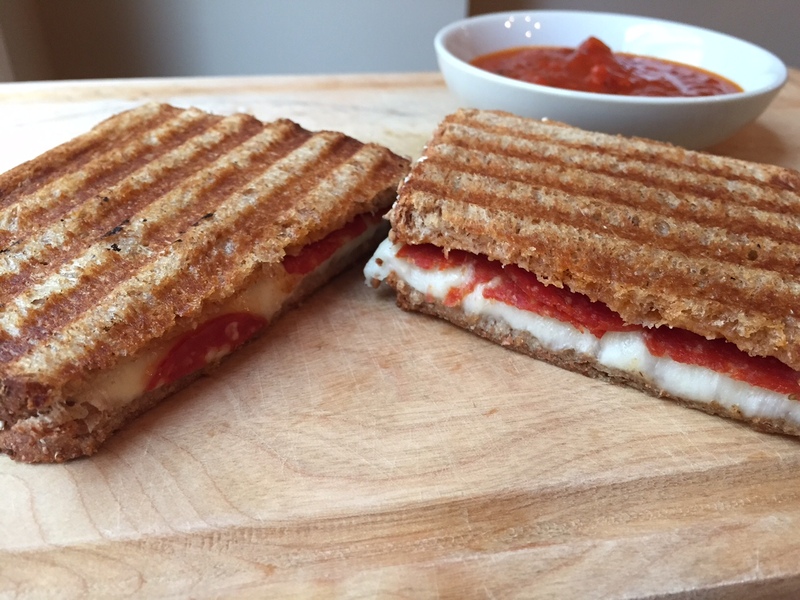 There’s a lot to love about making pizza grilled cheese for lunch [or dinner]. 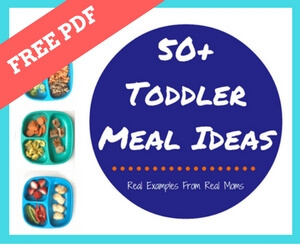 It’s something I know my somewhat picky eating toddler will eat, it’s ready in less than 5 minutes, I add vegetables and extra protein [beyond the cheese] as a filling, AND I use whole grain bread to make this a nutrient-rich recipe for the fam. Oh and I only need one pan to make the sandwich. What more could you ask for?! Did you know April has been crowned Grilled Cheese Month? Every month could be grilled cheese month in our house— but to celebrate this momentous occasion I’ve team up with Milk Means More to bring you a special cheesy giveaway. Head on over to my Facebook page to learn more! Lightly butter one side of each slide of bread. Flip over butter side and cover each non-buttered side with one or two slices of cheese. Add pepperoni and put the sandwich together. Add to hot pan and cook on medium heat until bread is browned and the cheese is melted. Slice in half and serve with marinara sauce for dipping. All meat products should be fully cooked and vegetables should be slightly sautéed before adding to the sandwich. All other toppings should be added during step number 1. 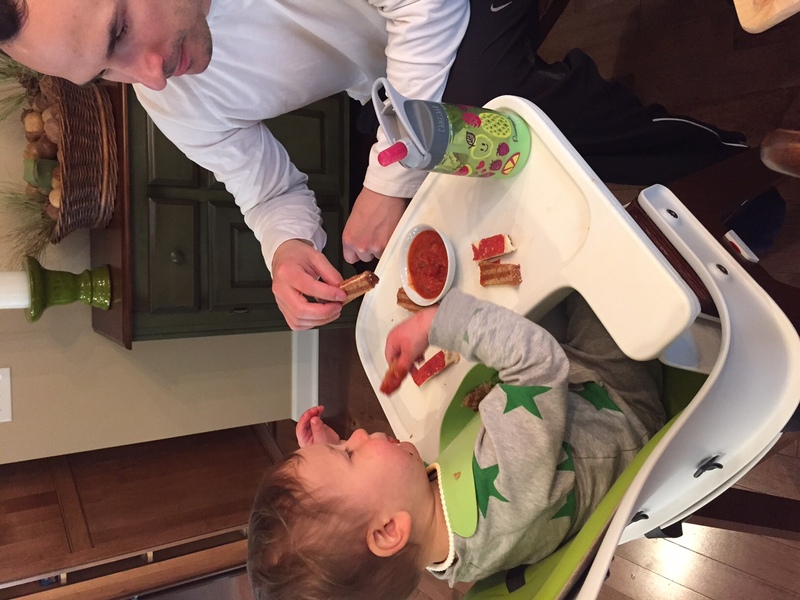 Do I even need to tell you where my boys have learned their “dipping” habits from?! Dear old Dad!! While pizza grilled cheese hasn’t replaced our Friday night pizza tradition, it’s given me another option for a fun, healthy, and easy weekday lunch! This post was sponsored by Milk Means More, but all thoughts and opinions are my own. Find out more about why Milk Means More on Twitter, Facebook, YouTube, Instagram and Pinterest. I’ll definitely try a pizza wrap next! Yum! Two of my favorite foods combined into one! 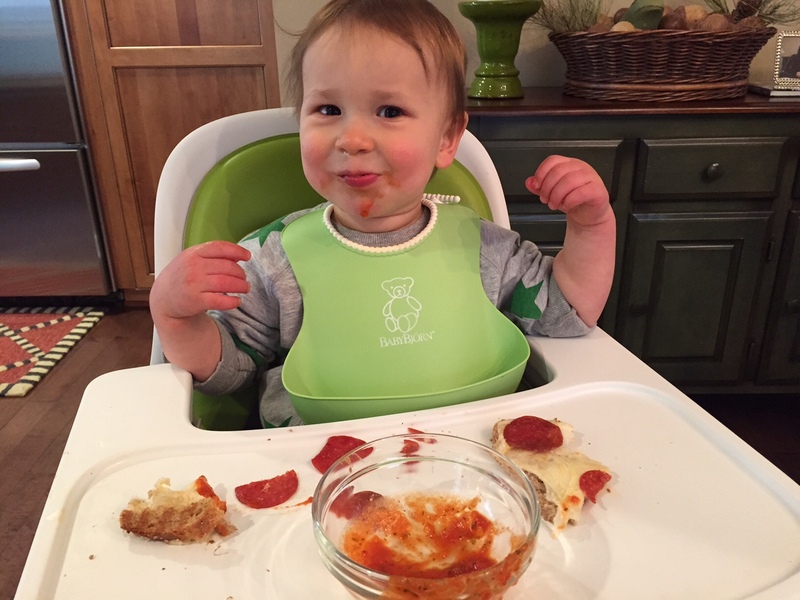 This is so great because it takes out the time-consuming pizza dough part 🙂 We still can’t get enough of your delicious pizza sauce either! Save a little extra next time for dipping!! This looks really good! I’ve made pizza pita sandwiches before and they were very good.